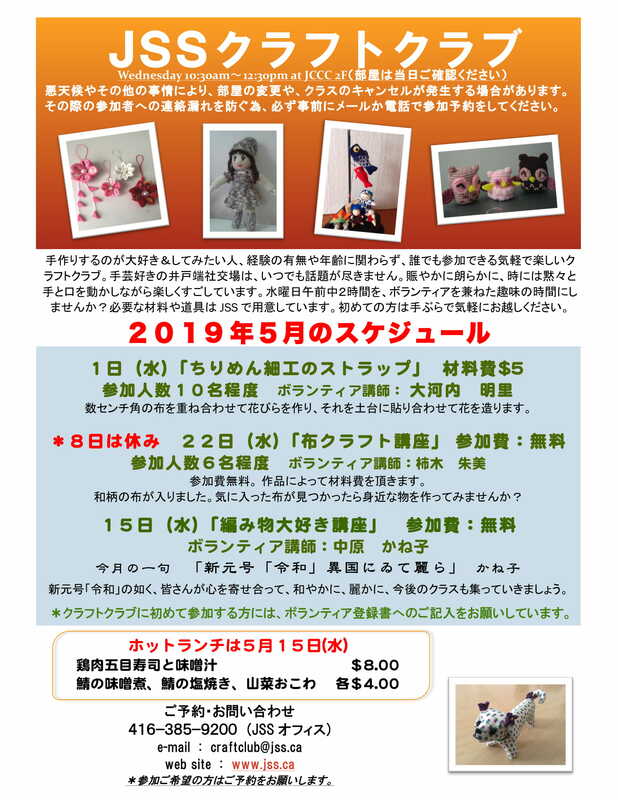 The following is the JSS Craft Club schedule in May (flyer in Japanese only). Day: May 1, 15, 22: Wednesdays. – Bring your own knitting needles if possible.